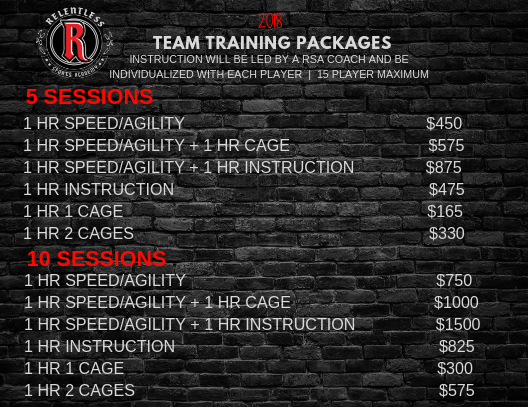 Relentless Sports Academy – GOOD PLAYERS INSPIRE THEMSELVES. GREAT PLAYERS INSPIRE OTHERS. Our indoor sports performance center in Holly Springs is 10,000 square feet fully equipped to accommodate your training needs. You’ll find plenty of equipment, 5 batting cages, two 70 ft pitching lanes, and a 50-ft by 120-ft turf field. Other training amenities utilized for athletic training include our weight room, cardio equipment, suspension trainers, and speed and agility accessories. Parents will enjoy a comfortable waiting area while their children pursue greatness in their athletic abilities. Check out the RSA party room to host team parties and birthday celebrations. When you visit our convenient location, you’ll see firsthand that we have the latest equipment and experienced trainers that are committed to helping people reach and surpass their fitness goals. For individuals and teams, youth to adult. Reach your highest potential physically and in your sport. Build speed and strength through personalized training and programs. Prevent injury with scientifically proven methods. Learn how nutrition plays an enormous role in physical performance. 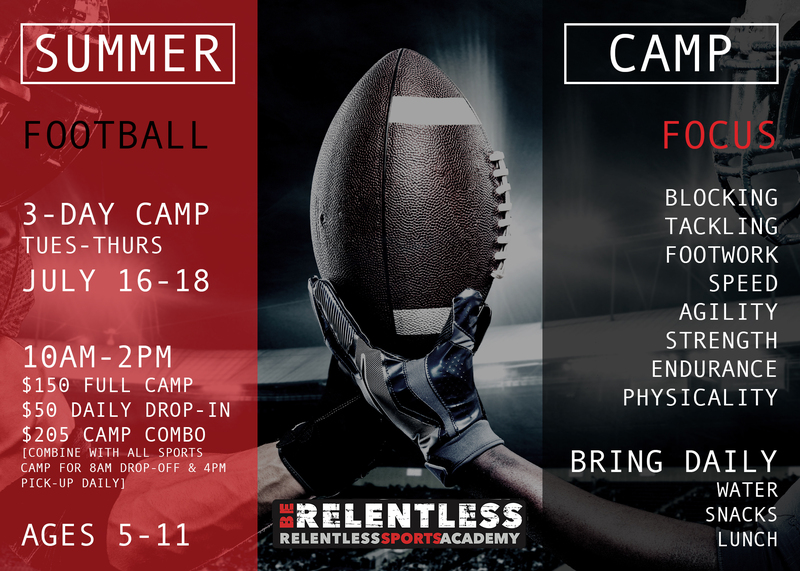 Relentless Sports Academy updated their cover photo. Relentless Sports Academy shared a post. Relentless Sports Academy shared a video. Check Out These Limited Time Savings For Our Camps! 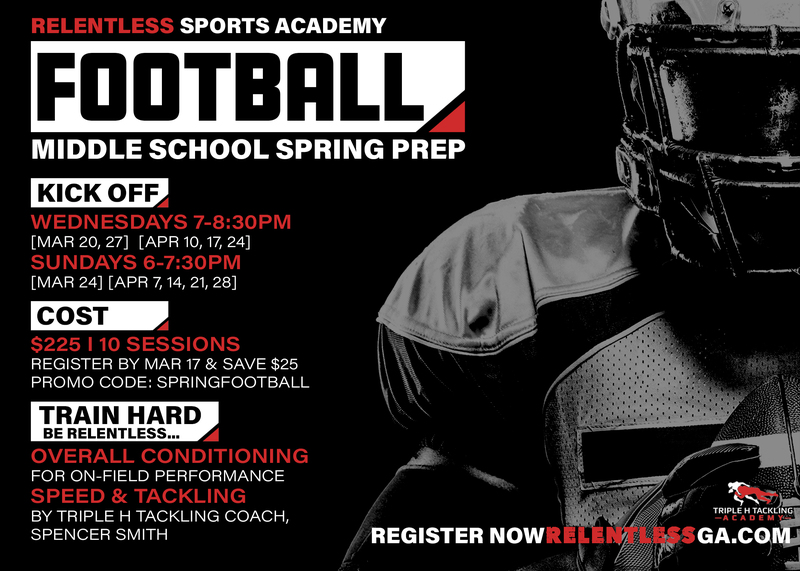 Middle School Spring Football class is back on TONIGHT!! See you at 6pm!! Summer Camp schedule is ready!!! 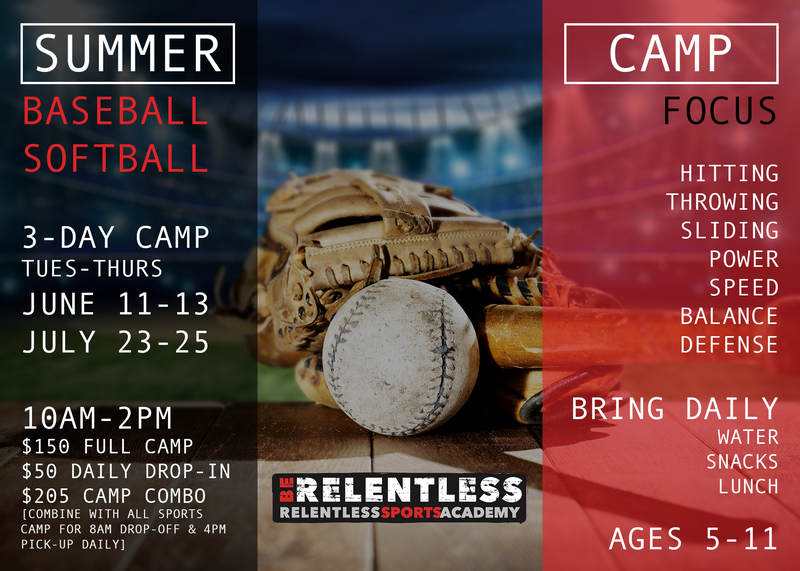 Join RSA for camp this summer. 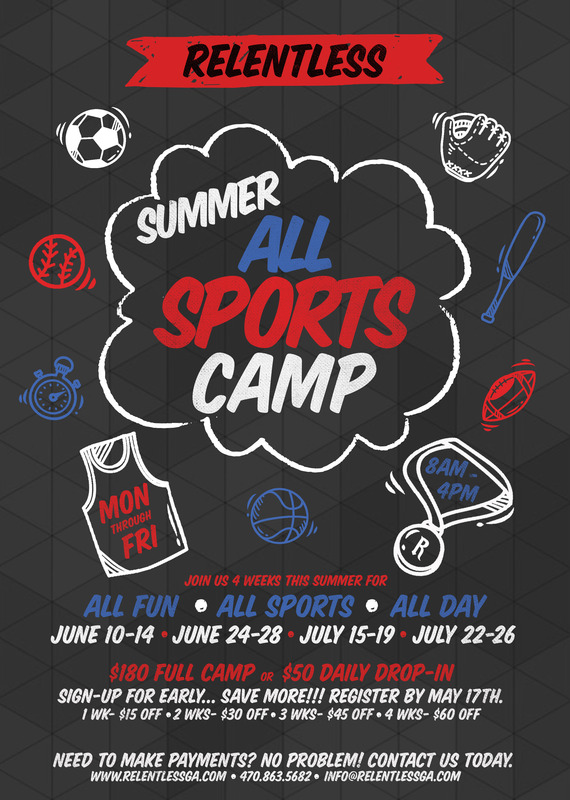 All Sports Camp, Baseball, Softball, and Football! Early registration discounts on All Sports Camps and Combo Camps 🙌. Payment plans are available for multi-week registrations. Please click on the photo or button to register. Make plans to join us this Summer for Camp! We have 4 weeks of fun planned for you. MAKE SURE TO SIGN UP BY MAY 17th and SAVE!!!! 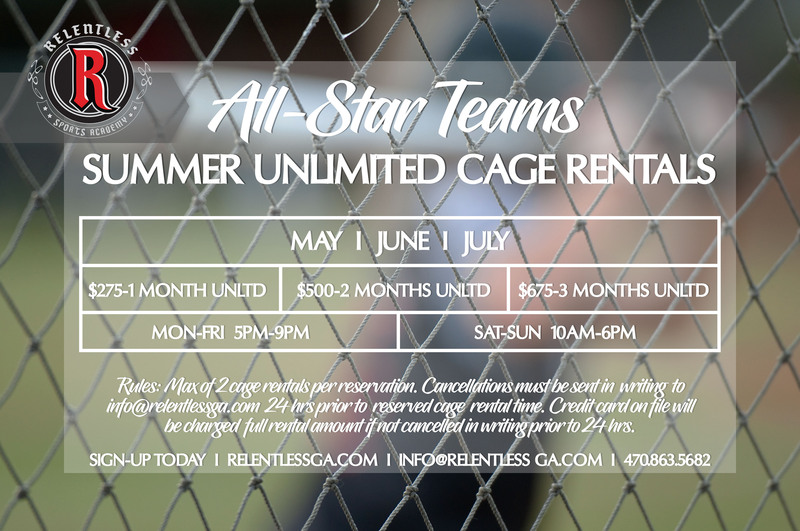 For more information, to join our email list, or to join our professional staff, please complete the form below, or email: info@relentlessga.com.